Any combination of dining can be found at The Flamingo Food Court. Johnny Rockets, Bonanno’s, Pan Asian Express and L.A. Subs all offer unique and satisfying selections. Any combination of dining can be found at The Flamingo Food Court. Johnny Rockets prides itself on serving all-American classics of huge hamburgers, hearty sandwiches and hand-dipped shakes & malts surrounded by jukeboxes and classic diner décor. At Bonanno’s, the finest tasting pizza, baked ziti, lasagna and spaghetti are prepared to your specifications and enjoyed in a relaxing setting. Pan Asian Express offers a variety of stir fried poultry, beef and vegetable choices prepared with the unique flavors of Asian cuisine. L.A. Subs not only promotes the famous sub sandwich, but the menu includes wraps, paninis, salads and much more. 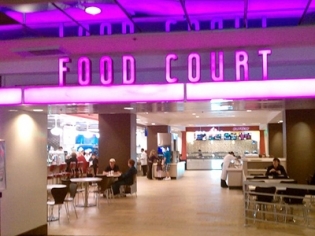 The Flamingo Food Court offers an option for every diner as you venture out for a day on The Strip. An okay place if it’s late and you need a bite. Otherwise, look for somewhere better if your picky.